Aviv gave SLR carte blanche to intervene on any related project to assist in tying it more powerfully to the films, bring them in line with the newly established brand essence, or recommend cancellation. The 5-year project would set the standard for Disney’s future highly coordinated multi-platform rollouts. Challenge: SLR quickly realized that the source of the problem was both a failure by all parties to understand the franchise’s complex narrative and meaning, and a failure on Disney’s part to communicate with itself effectively. Various divisions of Disney were developing Pirates products that were off-brand, unrelated to the film narratives, or poor in quality. There was no interdivisional communication, no cohesive approvals process for story, no sharing of visual and narrative assets. Little understanding of the IP outside of elevating the film’s stars; most Disney executives and third-party stakeholders were baffled by the first film’s success. No presence of the film’s characters at Disney Parks & Resorts; visitors were disappointed that the ride did not feature Jack Sparrow. Disney Consumer Products was preparing a multi-tiered campaign to engage different demos without considering how one set of products could negatively impact the others. Solution: With the second and third Pirates films in production, and various divisions already preparing products and content, Starlight Runner moved quickly to minimize waste and maximize quality and effectiveness of the franchise. After extensively interviewing all creative stakeholders, the SLR team developed a new brand essence and creative guidelines for the property, then traveled the globe bringing various Pirates projects into alignment with them. 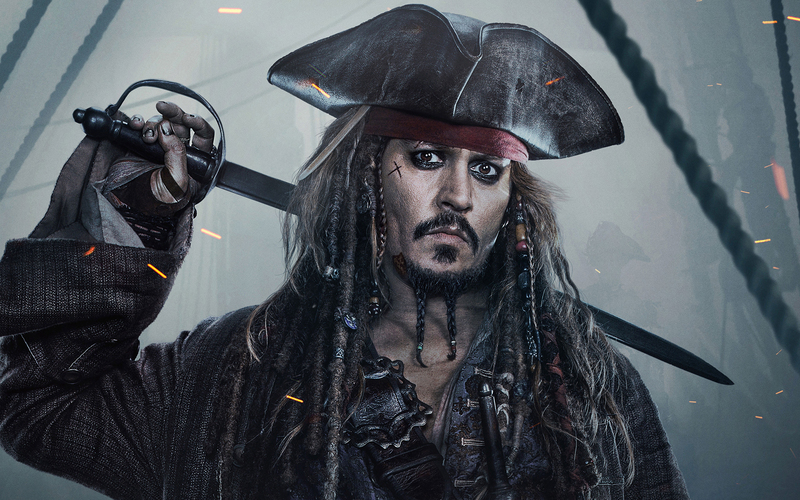 With Disney Marketing, SLR formed the Pirates Task Force, a franchise clearinghouse that promoted interdivisional communication, expedited approvals, tracked all creative, centralized and promoted sharing of assets, and bolstered new projects. SLR created the Pirates Mythology, a definitive guide to everything in the Pirates Universe, inclusive of the upcoming films, and canonized ancillary content. SLR worked with Disney Imagineering and Parks & Resorts to integrate Pirates IP into attractions, events, and venues such as Disney Cruise Lines, resulting in such projects as the innovation of the theme park attraction to include characters from the movies. SLR worked with Consumer Products to distinguish a look for teen branding, and a program for children that was set in-continuity with the films and did not alienate teens. SLR was separately engaged to produce significant amounts of online content, including holiday and novelty sites, children’s interactive games, and comics. Results: Under the direction of CEO Bob Iger, the Pirates of the Caribbean transmedia implementation would become the template upon which the Walt Disney Company would base all future successes. Starlight Runner would be invited to develop transmedia Franchise Clearinghouses for Tron Legacy and Disney Fairies, before Disney took over and began doing the same for such brands as Star Wars and the Marvel Cinematic Universe. Note: While the model for shared cinematic universes has spread across all of the major Hollywood studios, the specific approach to integrated transmedia story development has not. This accounts for some of the shared universe failures we’ve seen in recent years.